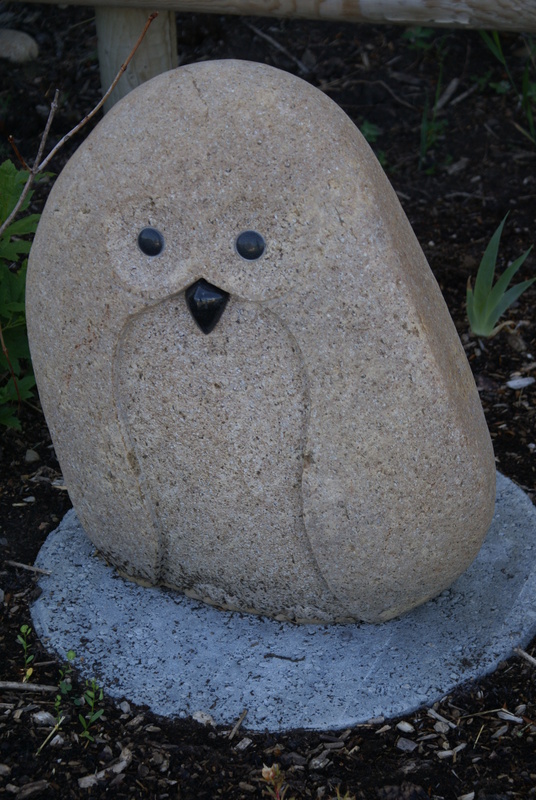 Owl art: Silver Springs Botanical Garden. The Silver Springs Botanical Garden here in Calgary has added a couple of instantaneous-smile-generating sculptures to their collection. These little guys are pretty cute! What are your tastes in garden ornaments and statuary? This entry was posted in Gardening, Outdoors, Photography and tagged Alberta, Art, Calgary, Garden ornament, Silver Springs, Silver Springs Botanical Garden, Statue. Bookmark the permalink. I’d love to have one in my garden. I love their expressions – the artist had fun making them, I’m sure! These are cute owls! I try not to have too much statuary in my garden as my husband is lethal with the mower and things go flying! LOL that would be a deterrent, for sure! Oh yes, I’ve seen some lovely ones as well…but you’re right, they tend to be quite costly. Aren’t they so sweet? I’d like to find out who the artist is; I may have to email the garden and find out. He or she really did a lovely job. As far as Garden chockskis, less is best maybe. I did just meet up Kathryn from WP The Lonely Dogs. at a ceramics studio in Red Deer. I painted a garden Mushroom and Kathryne a Snail. I have to drive back there to pick it up because it get’s fired in an oven and then glazed. I hope it tunes out ok.
That’s very cool! I love ceramic art. You’ve probably gone to pick it up by now (I’m painfully late with my replies!) – how did it come out? I love this owl. My mom was crazy over owls so whenever I see one it reminds me od mom. I love owls. 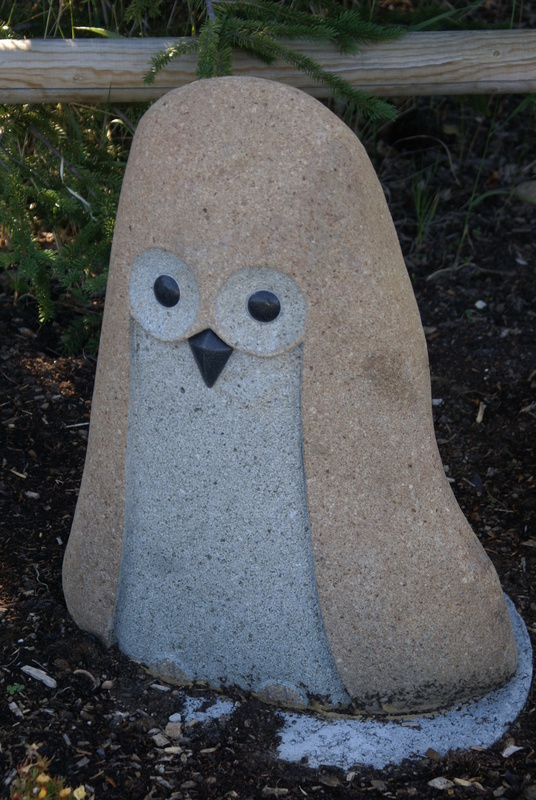 What charming stone sculptures. They are really well done, aren’t they? Cute. I don’t have much in my garden. Most everything I have put in the garden has ended up broken.